This was me on a Monday morning — the day we were set to launch our new e-book: Your Move: The Underdog’s Guide to Building Your Business. Imagine you’d just spent a month preparing for a big launch. Weeks planning out the campaign, writing your marketing emails, writing guest posts, and talking to your customers by email and 1-on-1 to get them excited. We were excited. We knew the e-book was good. There was just one more step: Getting it live on Amazon and sharing it with the world. The night before, we’d gotten a ton of messages — on email, Facebook, and Twitter — from early readers letting us know they’d left a glowing review. These would be critical in our launch campaign. (Think about it — who wants to buy a book with zero reviews?) When we finally launched the book, these reviews would give people PROOF the book was a no-brainer. But Monday morning rolled around and there we were: The e-book was live but Amazon was showing 0 reviews. In the past, this would’ve sent me scrambling. It would’ve caused a huge fire and I — plus the rest of my team — would’ve spent the next few days running around like chickens with our heads cut off. But after being in business for 12+ years, I’ve realized problems like these are routine. Dozens of employees. Multiple teams. Handfuls of projects going on at once. Complicated systems and loads of technical debt. You learn to expect things like this. No, you can’t always plan for it — but you can be prepared to handle it when it pops up. In less than 3 hours, we’d discovered the problem. The plan was to send an announcement email to our 800,000+ person list early that Monday. But since there were no reviews on the page, we thought it might be better to wait until they showed up. Or to change our copy to add a different form of social proof instead. After a quick discussion, my team made a call. We weighed our options and decided to run with the launch as planned. We knew there were reviews…but Amazon wasn’t displaying them yet. So we sent the email. Finally 24 hours later, Amazon resolved the problem — and a torrent of reviews came flooding in. In the past, a fire like this would’ve grown way out of proportion. It’s not the size of my team (even though we’ve grown). It’s not our systems and processes (even though we’re more systematic than ever). And it’s not because we secretly knew it would work itself out. 1. You have to find a way to laugh at your failures. 2. Things won’t always go your way — but winners grow anyway. One thing I love to do is follow up with our readers months — sometimes years — after they reach out to me for advice. These people are struggling when they first email me. When I write them to see how they’re doing, there’s a pattern. Some people give me the same excuses time after time. They couldn’t get a raise because their boss was unreasonable? A year later, they’re still earning the same salary. Why? Same reason. Nothing’s changed. But the others — the winners — have great news for me. For example, I was running a $1,000 giveaway contest. One reader wanted it to start building his side business. In other words, he didn’t win. But he did it anyway. He grew even though things didn’t go perfectly his way. This is the difference between people who start — and grow — a business… and people who dream about it. Because in business (and in life) it’s not a question of IF things will go wrong… but WHEN. And you need to be mentally prepared for when that happens. What do you think? What’s a time things didn’t go your way, but you laughed and kept going forward anyway? Love this! Especially the video and the insider view of what goes on behind the scenes in a situation like this. What’s a time things didn’t go my way, but I kept going forward anyway: Last year around the time of Forefront I decided I wanted to make 2017 the year I moved to Colorado. My plan was to keep my job I didn’t like for a year to save up, then start freelancing and move. Instead, I got laid off shortly after Forefront. That didn’t go as planned AT ALL. I kept going forward by starting to get freelance clients the next day. I’m still on track to move in 10 weeks. Awesome. That’s a great demonstration that things won’t always go your way — but you can still keep moving forward. Congratulations on the upcoming move! I added massive value to someone I really admired for years. When she had a job to offer I applied immediatly. I was sure she would take me because we already knew each other and I had shown her that I’d be worth a try. She took someone else. Instead of letting that stop me I accelerated even more. I helped her and her customers in her Facebook group. I even helped her students one on one. Long story short: I added so much value that she couldn’t not want me to work for her. So she let the other person go and hired me instead. Thanks for sharing what’s going on behind the scenes! I lost my suitcase on the way to a fancy business event. This was potentially an embarrassing situation since I’m a fashion stylist and my outfit is my calling card. The wonderful thing is that these days I can turn any problem into a funny blog post so I was just enjoying myself hanging out by the empty airport carousel while trying to find a good way to spin the story. AMAZING! “Be so good they can’t ignore you” — even if you fail the first time. Earlier in 2017, I launched a online course called Write Your GRE Essay in 30 minutes or less on my Increase Your GRE Verbal Score website. It failed. No one purchased the course. However, during the time that I was promoting Increase Your GRE Verbal Score, I quadrupled my following on Twitter. I looked at my audience, mainly women ages 25-45, (i.e. not the 18-25 year olds who take the GRE), and devised a strategy to meet their needs. Now I’m running I Have A Dream, to serve Lady Bosses & Mompreneurs who want to find time for yourself & get your life, and it’s a much more exciting process. People are really responding to the mission. I’m writing guest posts, Facebook Live appearances, and guesting on podcasts talking about time management and work/life balance for women in business. I’m gaining traction, and I am planning to secure my first paying clients by the end of this Summer 2017. Very agile & adaptive. Nice work. If you need help on launching, keep reading our Growthlab articles and check out our courses, too. How about right freaking now? I started a business and it has gone over as well as lead zeppelin. It’s been tough but a HUGE growing/learning experience. Would I do things differently? Of course and I would love to have not gone through the hurt and lost cash. That said, I feel like even though it’s been a struggle, I wouldn’t change it because I am a better person and a better business person because of it. What were your big learnings? And what’s your next step? When I was in high school, I lost a local talent competition. During the finals, they found a way to “feature” me anyway as the evening’s musical entertainment. Great stuff. I thought chaos only happened at my work place (haha jk). But it’s nice to hear you can keep a level head and power through any issue that might arise without losing your mind. I love how growth lab shows moments like these, not just the wins. It ended up being a win for you (NYT bestseller!!!!!! ), but didn’t start as layed out in your launch plan. You guys didn’t lose your head, and that alone shows how much you have grown over the years. Some might miss your taco jokes, but THIS is so much better. As a children’s book author (not writer), many things didn’t go as planned with some of my launches. My hotmail account might be to blame, but I didn’t give up and kept on pushing. And this year, it finally paid off! So here’s to not giving up, Ramit! And for remaining calm, kind, and level-headed, no matter the circumstances. 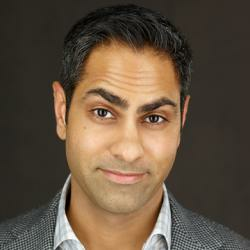 Hi Ramit, LOVE the idea of laughing at failures! I remember a winter couple of years ago, I slid and fell on the icy 5th Avenue in NYC. It was so hard that my whole body was on the floor, passer-bys came over asking me if I was hurt. I don’t know why, but I burst out into laughing when telling them “I’m fine.” People didn’t understand it and went away. I didn’t understand it either, but hey, the feeling of lying on the 5 ave and getting all these attention wasn’t that bad after all. Now in ZTL, I started to realize there’s this love/hate emotion underlying every guest blogging pitch I send out. The downside of it is sometimes it holds me back because I want to win and want to put in more time into it. I enjoy the thrill. But whenever someone rejects me, I laugh it out too – “at least you had an email encounter with one of your role models,” I tell myself. And I once thought there must be something wrong with me. Thanks again for sharing the precious moments behind the scene. The pillow throwing moment in the video highlights it all. You are correct, a book would ideally not have reviews if it just started selling. You are also correct, the book (or at least part) was ‘seeded’ with excerpts, previews or introductions and pre-orders. About sending to people that would write a great review, you are also correct. Anyone wanting to sell would attempt to do this. You wouldn’t intentionally send your product samples to people you know would write a negative review. But don’t be mistaken, it will start with having a community of people who know, like and trust you. (i.e. satisfied community and customers). With this, you wouldn’t worry about negative reviews if you create a product that will genuinely serve and add value. Social proof is powerful, and the best marketers harness it to validate their offering. I had shared the book with several hundred people before the book launched. They’d read it, and when the page finally went live, I sent them an email asking them to leave an honest review — the good, the bad, everything. That’s how our book got so many reviews. This is a frequent occurrence for me. I just recently forged a large knife with a added feature for a friend. But in blacksmithing there is always a learning curve. I ended up having to re make the entire blade, but itthe wnd it came out better than I had hoped! Ramit, all is ok about situation, but your video is is.., it has some unnatural play , like artificial reaction to situation.. not congruent. I really value your opinion. Please share more of your insights with me.